By FFWPU Poland, Vitia Bartošová – Hoffmann, November 22, 2015: Some people asked me to share about my experiences as a school teacher. At the beginning I must say how grateful I am to True Parents and Heavenly Parent for the knowledge I could receive, for the fundraising and many other experiences I could have, after listening to the Divine Principle. I graduated in the Czech Republic as teacher for primary school education and sports teacher. I had many ideas how to teach kids. But I never could imagine how much I will learn and gain when I started to teach after a while since I have joined the movement. Now, after many years of learning how to be a mum, I finely begun to work as a teacher at a primary school in Poland. Slowly and step by step I could start to share the wisdom of Heavenly Parent with the kids. Poland is a very catholic country, where you cannot shout “I am from UC”. But you can spread in many different ways the truth about morality, friendship, about the four realms of heart, give and take action, subject object partners, about sharing, serving to others etc., when you are talking with children. One time I had an opportunity to teach religion lessons for one month instead of the priest. He was sick at that time. It was a most incredible experience for me. I could talk with the children, among many other things, about Noah’s life, his troubles, what he experienced. I told them the whole story as True Father was explaining it to us in a form of a fairy-tale. The children heard it for the first time in this way and were so impressed. Incredible things happened also with the older children. The discussions about religion and Jesus life never ended. Children who normally would not attend religious lessons, because their parents are Protestant or none believers, stayed on and listened. 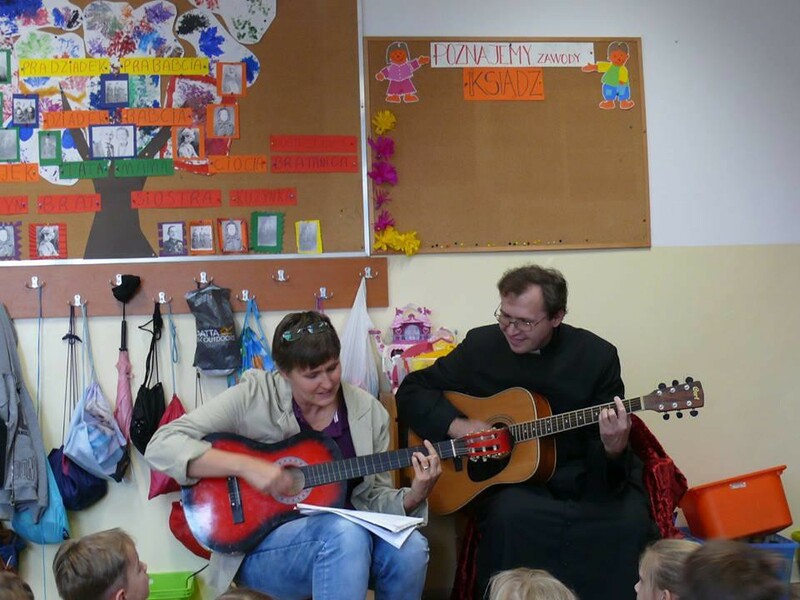 Often we are singing together and sometimes the priest is joining us. I am using the songs from our HARP seminars. He likes them very much and is very proud about me, that I as a secular person is teaching children religious songs. One more time I would like to thank Heavenly Parent. Finally, I understood what it means, “Be proud of what True Parents have giving to us.” You cannot find it somewhere else.